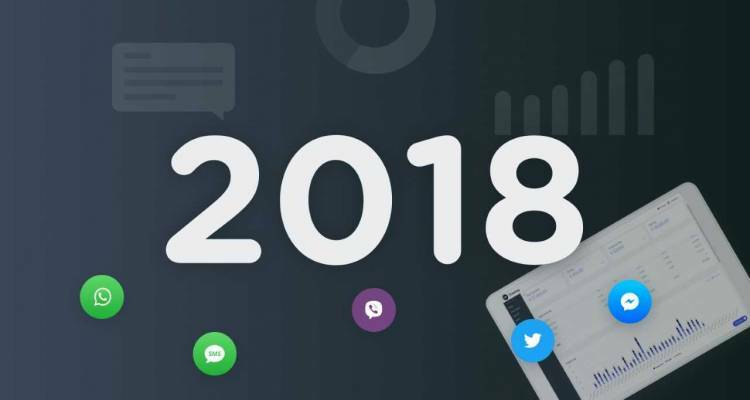 2018 in retrospect: What were the main innovations? In 2018, we started the great expansion of the CM Campus. Growing is what CM.com continuously does. A few years ago, CM.com bought a second building at the Konijnenberg that has been completely renovated. 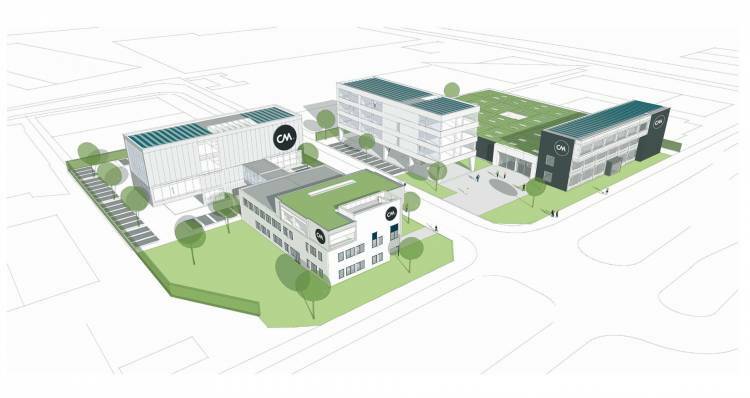 After that, CM.com started a conversation with surrounding companies and the plan to create a campus emerged with plans for a third building of the head office in Breda. If this will be filled by the growing number of CM employees quickly, the construction of the fourth building will start within a few years. In 2018, CM.com kicked of its proud participation in a major innovation in cashless shopping from AH to go. "On average, a customer spends 3 minutes and longer in an AH to go store. We can reduce that to 20 seconds," says AH to go. How? Thanks to the latest development in mobile payments: Tap to go. In the AH to go store, a customer scans electronic shelf cards using his or her tap card or mobile phone. By making use of this scan technology, products can be taken from or returned to shelves seamlessly, whilst at the same time, the digital shopping cart is updated automatically. Once shopping is done, the consumer simply walks out of the store and continues the day. Standing in line at the cash desk or paying at a cash point is no longer necessary. After 10 minutes of inactivity, the customer's bank account is debited and therefore payment is also processed automatically. Another smart application of the possibilities of our platform that we want to highlight is that of the Nederlandse Loterij. The Nederlandse Loterij is the gambling organization in The Netherlands, known for the Staatsloterij, Lotto, Toto and scratch cards. All gambling games from the Nederlandse Loterij are intended for people aged 18 and older. On the 30th of May, the Nederlandse Loterij introduced iDIN (the online tool for safe and easy identification via the bank) to verify the age of online participants. The Nederlandse Loterij shows that a positive user experience, safety and responsible gaming work very well together. By using the iDIN technology, they enable ease and safety as well as taking full responsibility when it comes to age verification (18+). WhatsApp has no less than 1.5 billion active users in 180 countries. In many countries, WhatsApp has become the most popular communication channel. This is the reason why many companies have wanted to access this chat app for some time. Until recently, however, this was not officially possible but fortunately, WhatsApp has now officially opened this channel, so your company can also use WhatsApp to get in touch with your customers. Through our platform, you can now easily integrate WhatsApp into your communication mix. As part of our strategic collaboration with UNICEF, two young South African developers were doing an internship at CM Breda this year. These interns were Jennifer and Pertunia. As a proud partner of UNICEF, CM.com participated in the Techno Girl program, with the aim of offering these two girls an enriching experience in the Netherlands. Another highlight of ours this year, is the launch of our Customer Data Platform. The Customer Data Platform (CDP) brings all your marketing data together to build a full (360 degree) profile of the customers. This has been the promise of many marketing data solutions, but only since recently using Big Data technology and open API’s we are now able to deliver on this vision. With access to rich profiles, your CDP can orchestrate and automate communication with your customers or prospects. The finer grained your understanding of a person is, the better you can target them with information that is relevant within the context they currently are in. Truly connecting over topics of interest. And it should be a conversation instead of a marketing push, there should be an opportunity to respond. By use of our CDP, every conversation can be geared towards every individual, at their terms. This year, CM.com was again the proud main sponsor of NAC Breda. We look back on a successful period of CM.com as main sponsor so far. CM and NAC cooperated intensively in different areas. For example, in the sale of tickets at practice matches and the collection of season ticket fees. The cooperation went beyond the sponsorship and became a real partnership. CM.com is a company that is rooted in Breda and is the proud main sponsor of NAC. Behind the scenes we continue with CM.com to make the NAC experience a bit easier and more modern with the latest technologies.